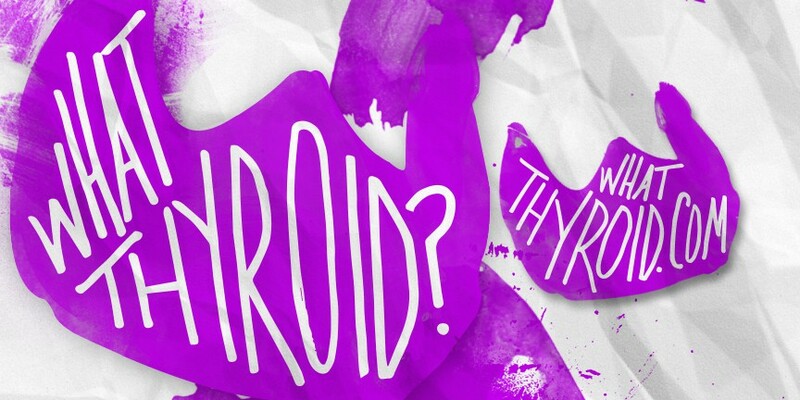 whatthyroid | What thyroid? whatthyroid – What thyroid? Why do I feel like every time I post, I need to start it off with “WOW – It’s been a while.” Sorry about that. Life gets busy and wild and I’m the worst at carving out time for myself these days. Unless it involves travel. Traveling has been a huge outlet for me, helping to reduce stress and explore, because let’s face it, life’s short! Anyways, hello there, welcome back! To you, to me. Let’s talk life without a thyroid once again. ——–Starting last Saturday, this week marks the start of my yearly examinations since diagnosed with thyroid cancer in 2014. Considering my initial diagnosis, I have yet to be in remission. Every three months I have labs pulled. Every six months I check in with the docs for them to tell me pretty much nothing except we’ll keep monitering you. Thanks. And every year I have a plethora of testing, more blood work, and scans done. Now, while I’m about pro level at this microscopic game of thyroid cancer, I still get quite uneasy when I have looming appointments like these approaching. Especially the yearly follow up. These are big time, folks. And I have yet to receive good news, just once. Let me tell you, I f*cking NEED THIS. A break. To regroup and refocus. April 22 ( Earth Day! ), the last thing I would ever ask for is to unfold out of slumber and head to Desert Radiology for a neck ultrasound. Playing with plants and spending the day outside, enjoying our blue planet sounded more like my cup of tea. But alas, like I mentioned in the *above, sometimes you just have to dive in and be done with it. Random Side Thought: When fellow patrons in the waiting room hear you called down the ultrasound hallway, I wonder the percentage of people listening assume I must be pregnant. AND, if and when that day ever comes, will I be traumatized by ultrasounds? I mean, seriously. I’ve had about a dozen of them and none came out the way we wanted. At this point I know exactly what cancer looks like under ultrasonic frequency. Your lymph nodes appear circular and solid black, traced with a small outline. When cancer shows it’s ugly presence, the best way to describe – Tiny little static within that solid black circle. When mapping for my second surgery, one of the ultra sound techs and the administering doctor, stabbing needles into my neck, showed me the art of death. Now I’m terrified of it. So rather than stare at the screen this time, I opted to shut my eyes and keep breathing. I didn’t as questions like I normally do. I’ve pretty much asked them all. Knowing I had all this other crazy coming up the following week, I decided I’d rather know nothing and hope for the best. OK. I lied. I did peek just once. She was snapping so many images! But I only saw the screen for maybe twenty seconds and to my relief, everything looked normal. Sunday was all mine. Julian went galavanting with some high school friends, in from Houston and Minnesota. I decided to stay home alone with Frank and just vedge. The only downside was the damn wind we’ve been getting knocked around with here in Las Vegas lately. Any day now it can stop. My allergies are killing me on top of everything else. Monday kicked off this week with Thyrogen Shot 1 – It stung like a motherf*cker! Tuesday, exactly 24 hours later, ( in my best DJ Khaled voice ) ANOTHA ONE. I’m still wrapping my head around why exactly I paid 2K to get probed with needles. Oh wait, that’s right. Because the alternative is to go off your thyroid meds for three weeks and feel like a pile of brain dead mush that sleeps all the time. That doesn’t fly in the creative entrepreneur club. Directly after my first injection Monday, I headed downstairs to get my blood drawn for a pregnancy test. No, I am not pregnant, nor are we interested at this point. It was strictly precautionary due to the fact that later today, I’ll be swallowing more radio active iodine in preparation for my i-131 full body scan Friday. BUT GET THIS. Summerlin Hospital LabCorp lost my blood! And so this morning, when I was suppose to pop that radioactive pill, I got a phone call from Desert Radiology’s Nuclear department. My heart dropped thinking they were about to tell me we had a Lil’ Murr on the way, but low and behold, they called to inform me they could not find my results. Le sigh. Is this really happening? So at 7:30AM today, I raced to another LabCorp to give additional blood for a STAT pregnancy test. Go figure, the first lady poked me TWICE and didn’t get a vein. F*ck. I hate needles already and she was just digging into my arm! After her double fail, a second mam came in to draw. She apologized, she was going to have to go in the same vein that was already bruised from Monday’s lost labs. She got it like a pro, but I was about five seconds from passing out. She yelled for ice and laid me down on the table directly ahead of where I was sitting. What an early morning trip! I promise you I will NOT be paying for this second bill if and when it comes. The worst part of it all? I have to get more labs tomorrow to check my thyroid levels. AHHHHH. I’m going to keep telling myself, the Universe is throwing this all at me to test my ability to stay positive and calm, with results tossing me into my first NED ( no evidence of disease ) category in three years. Pretty, PRETTY, please. And now I’m writing this while I sit patiently, trying to concentrate on work, and await Keith to call me over to swallow some foreign pill. See, the thing is with these tests, they have to be done in a specific order. Mostly due to the Thyrogen injections. It’s a stressful and daunting runaround. All results should be available by May 3. My appointment with my endo is May 8. I can pick everything up before then, but do I want to? I don’t like my endo enough to wait for her to tell me the verdict. What would you do? Alright. Time to sign off. Thanks for reading! More from me Friday. We’re halfway there!